Post Ranch Spa focuses on nature-based therapies, such as the wildflower facial with organic plants and Big Sur flowers, and the skin-renewing Hungarian herbal body wrap, which blends organic herbs (including sage, ivy, cinnamon and paprika) with a Hungarian thermal mud body mask. Several treatments also draw from Native American rituals, such as the Big Sur jade stone therapy, which uses jade collected from nearby beaches and basalt river rocks with massage to relieve sore muscles, and cooled marble to release inflammation. Private hikes, meditation sessions, yoga and couples massage instruction are also available. 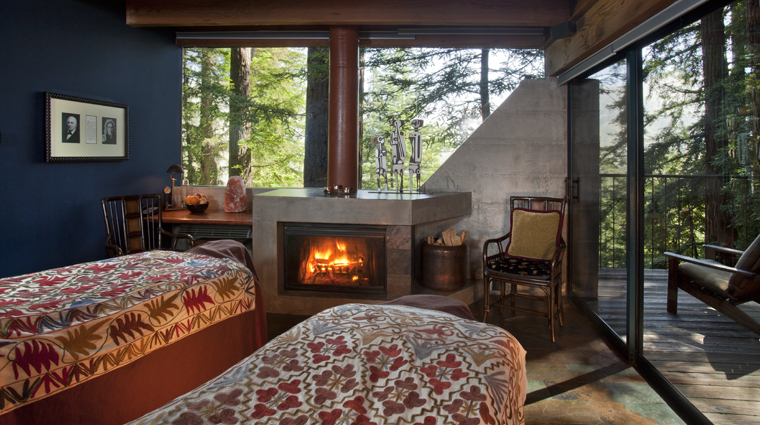 • With its beautiful setting in a rustic California-chic cabin and its incredible views of towering redwood trees, there’s much to admire about this rustic spa. • Treatments take their inspiration from the Coastal California setting. Big Sur jade therapy is the perfect example of this, with its use of warmed jade sourced from nearby beaches to soothe aching muscles. • From the moment you step onto the Four-Star Post Ranch Inn’s gorgeous grounds, you’ll feel the romance in the air. Enjoy a duo’s massage or other service in the intimate and comfortable Spa Suite. • The attentive therapists want to maximize the benefits of your stay, so you’re free to customize your services and figure out what will be the best for you and your special someone. • All of the products used during the massages at Post Ranch Spa are high quality and herbal based. 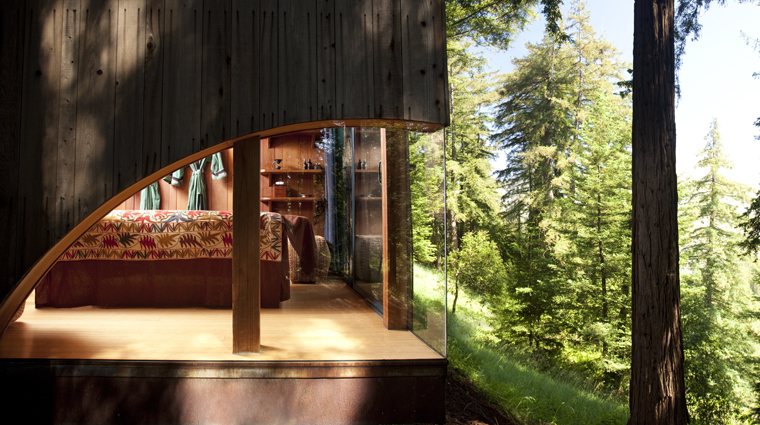 • The entire resort is a series of cabins and guest rooms spread along a ridge overlooking the Pacific Ocean, shaded by stately redwoods. With such a natural setting for its inspiration, Post Ranch Spa is a facility that’s in demand, so be sure to call ahead to make your reservation. • If the petite spa is booked, you can always opt to have your treatment in the privacy of your own room. • Make a reservation by calling spa directly at 831-667-2200. • If you do have to cancel, make sure you do so at least 12 hours before your service to avoid penalty fees. • If you’re looking to relax, a massage will certainly do the trick. • Choose from a list of both classic, traditional massages and new, fresh, unique massages. • Favorites include the Therapeutic Massage, Aromatherapy Massage, Prenatal Massage, Thai Massage, Lymphatic Massage and the Duet Massage, where two therapists work on you simultaneously. • During the signature Post Ranch Massage, therapists combine Swedish massage, pressure-point therapy and energy balancing massage to give you the best of each technique. • There’s no better way to end a peaceful day than by ending it with a wrap. For a unique full body experience, opt for the Hungarian Herbal Body Wrap, which combines blend of organic herbs with thermal mud to renew tired skin. 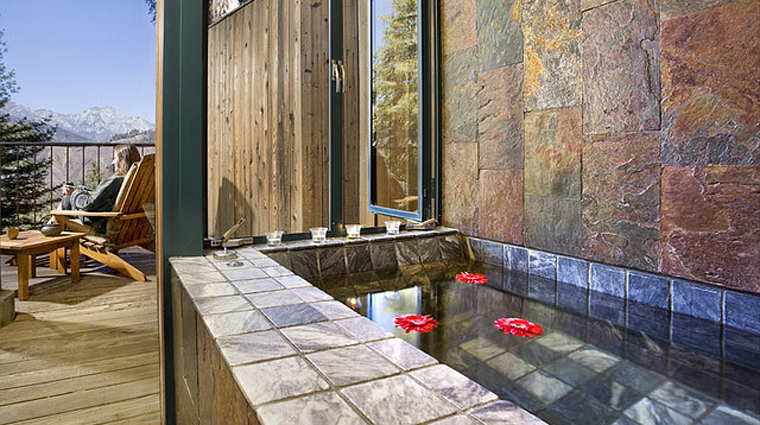 • Post-treatment, make a beeline for one of the inn’s outdoor Jacuzzis, which are tucked under towering redwood stands and perched on a ridge overlooking the Pacific Ocean (the effect of which is both exhilarating and dizzying at the same time). • With two pools on site, there’s more than enough space to float blissfully in the calm waters. • Take advantage of your newfound energy by getting in a workout in the marvelous fitness center.